The Delaware Department of Education (DDOE) publicly released the Educator Preparation Program Reports (scorecards) for all teacher preparation programs in the state on November 18. Individuals can search the DDOE program report webpage for a specific report by institution/alternative route pathway or by program name. Each program is rated on a scale of 1 (high) to 4 (low) based on scores in five domains: recruitment, candidate performance, placement, retention, graduate performance, and perceptions. The program’s rating determines its renewal status, which is listed in the State Summary on the above webpage (e.g., a Tier 3 rating translates to the program being renewed with conditions). The next set of program reports will be publicly released in Fall 2018 and even-numbered falls in the future. The ERC has purchased additional video recording equipment to help candidates prepare high quality edTPA and PPAT videos. 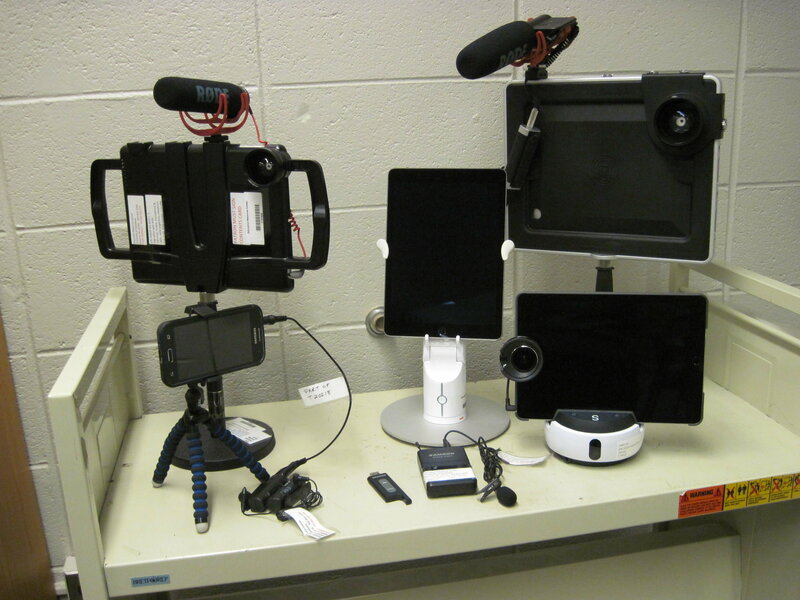 Along with 6 SWIVLs, we have 3 iOgraphers, a Padcaster, several wireless lavalier microphones, and a SWIVL Expand case. Please inform your candidates about these resources and that instruction on how to use the equipment is available upon request. The iOgrapher frames and Padcaster come equipped with an iPAD, wide angle lens and a microphone. Each can be mounted on a tripod or handheld. The SWIVL Expand Case comes equipped with an iPAD and a lens for improved video. It can be mounted on a SWIVL or tripod or stand on a table. Several different wireless microphones compatible with most devices are also available to improve the audio in the videos. For editing, Camtasia is installed on one MAC and one PC workstation in the ERC. CAEP approved the University of Delaware’s request to move the CAEP site visit from Fall 2018 to Fall 2019 based on recent leadership changes in DCTE and the College of Education and Human Development. The University Council on Teacher Education and the Delaware Department of Education supported the request. The delay enables the three-year data collection cycle for the visit to begin this fall instead of Fall 2015. It also gives the programs one additional year to be nationally recognized by their specialized professional association (SPA) prior to the visit. The Partnership for Public Education (PPE) is a University-wide organization that brings together members of UD and the broader educational community in order to improve Delaware public education. One of PPE’s first initiatives is launching “TeachDE”, a statewide effort to create a robust and coordinated system for developing and strengthening the Delaware teacher workforce. The TeachDE leadership council will address the challenges outlined in the PPE policy brief entitled, “The Future of Delaware’s Teacher Workforce: A Focus on Teacher-Preparation Programs” and propose a coherent plan for moving the state forward. Save the date for Project Search on April 26, 2017.